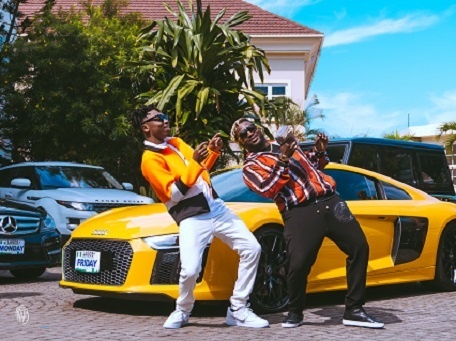 Mayorkun's new video for 'Fantasy' salutes the legacy of Olu Maintain‘s signature number and classic 'Yahooze'. The Kiddominant produced banger first surfaced when it was released alongside “Posh”; and now has a video to follow. The Clarence Peters directed clip salutes the legacy of Olu Maintain‘s signature number and classic “Yahooze”, and also features a memorable appearance from Olu Maintain. Although details are still sketchy, Mayorkun is also set to release his debut studio album before the end of 2018 and headline his anticipated “Mayor of Lagos” concert on the 14th of December. Waste no time and consume the lush visual for “Fantasy”.